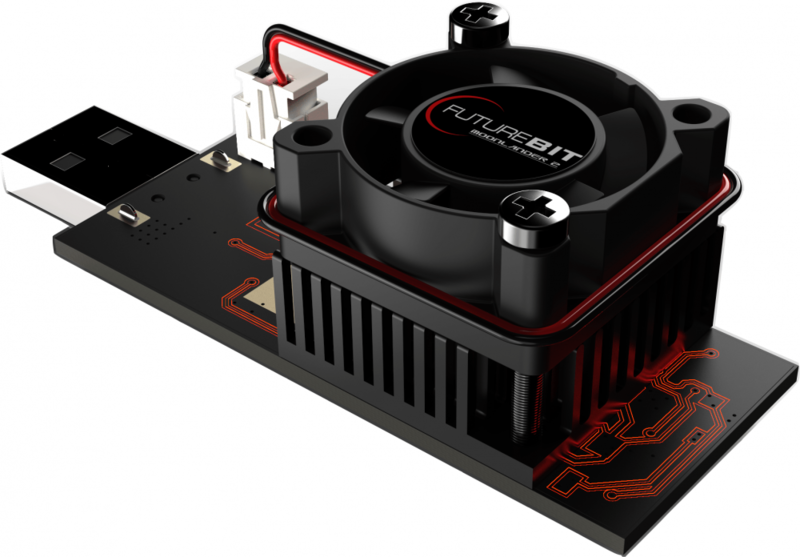 The FutureBit Moonlander 2 is an easy to use, low cost USB miner designed to introduce new users to the world of cryptocurrencies and mining. The Moonlander 2 is currently the most powerful and efficient USB miner available on the market today, allowing you to mine scrypt algorithm based coins like Litecoin, at a hashrate of nearly 5 MH/s* with under 10 watts of power. The Moonlander 2 is built with the latest generation 28nm scrypt ASIC at its core, and uses the highest quality voltage controllers and components to ensure stable efficient 24/7 operation needed for cryptocurrency mining. 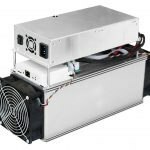 It also features a fully custom designed pin heatsink and fan forced induction cooling solution, which is an industry first for a USB miner, and allows quiet cool operation at maximum frequencies with no external cooling solutions needed. The miner is designed to run out of the box with no adjustments, but offers full clock and voltage control for people that love to tinker! 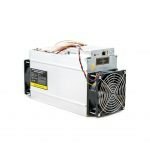 The miner is very easy to use and setup, and you can get started with no previous mining experience needed. All you need a compatible Windows/Mac/Linux computer with a high powered USB port to get started! Simply download the USB drivers, our mining software, plug in the Moonlander and you are ready to go! The Moonlander 2 works with most Windows 7/8/10 based systems, Mac OS 10.12 or greater, and most Linux based systems including Raspberry Pies! Moonlander 2 USB Miner Set Up Guide.